Recently, a report by the Governors Highway Safety Association (GHSA) included preliminary data that showed that Florida was one of the worst states for pedestrian deaths in the U.S. in 2017. Unfortunately, this is no new development, as each year Florida consistently ranks as one of the top states for pedestrian accidents and deaths in the country. However, 2017 showed increases in many statistical areas. According to the report, Florida was ranked number two in the country for pedestrian deaths and ranked number five when that data was adjusted to reflect population (per 100,000 people). Florida was also one of the five states that were listed as the worst for walking deaths, including Texas, New York, Arizona, and California, with all five states accounting for 43 percent of all walking deaths in 2017. 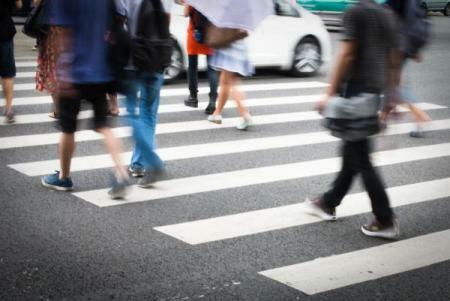 Miami-Dade County has been one of the worst for pedestrian accidents in recent years. In 2016, 83 people were killed as pedestrians by vehicles, the fifth-worst county in the country, according to the Fatality Analysis Reporting System (FARS). And if fatalities involving cars wasn’t enough, pedestrian accidents and deaths involving railroads and passenger trains are also on the rise. One of the causes is the new Brightline Rail Line, a high-speed private rail line, which has accounted for six pedestrian deaths since its inception in 2017. At the Hickey Law Firm, our experienced personal injury lawyers, led by John H. (Jack) Hickey, have been helping people in the Miami area who’ve been victims of negligence for many years. Whether that negligence is the result of a drunk or distracted driver, an inadequate warning or unsafe gate at a pedestrian train platform, or improperly-loaded cargo on a large truck which causes an accident, we can help you pursue the compensation you need to get your life back. Losing a loved one is one of the hardest things in life, especially in an accident caused by the negligence of another. Our attorneys will fight on your behalf to hold the responsible party liable and get you the compensation you deserve. If you or a loved one was injured or worse in a pedestrian accident, please contact our experienced lawyers today by filling out the form on this page or by calling us at 855-375-3727 to schedule your free consultation. We proudly serve the Miami, Florida area.